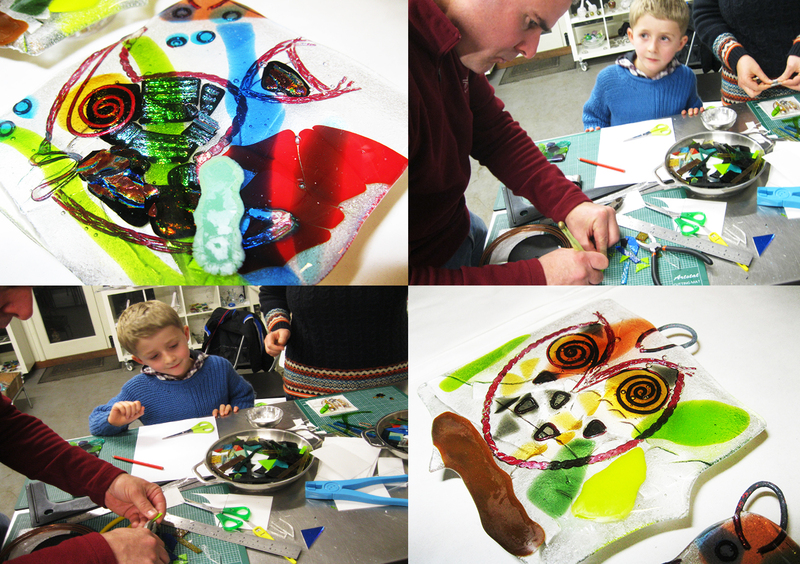 This fun 30 minute course for the family explores glass fusing and creating original glass panels for the home or as a gift! A course demo runs each hour and two 30 min courses run per hour. Please book your time slot using the booking calendar or contact SALT to book a course date. 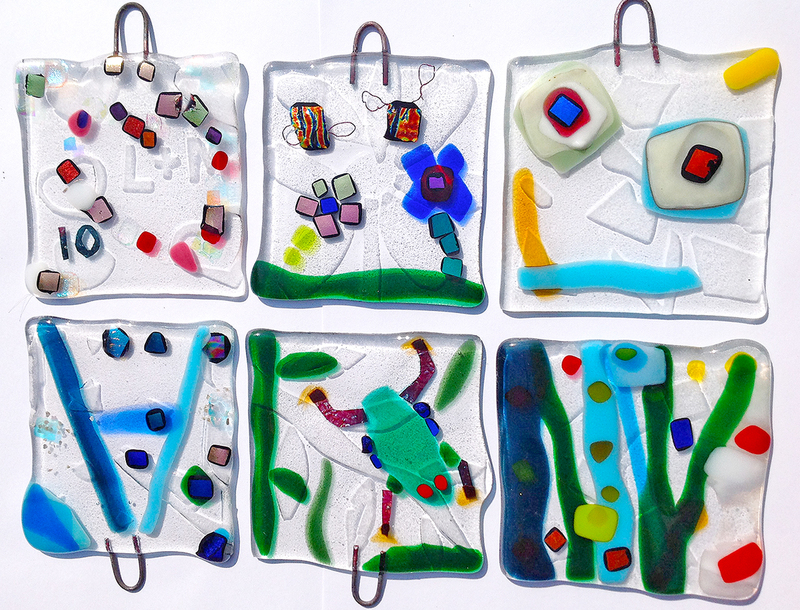 Students can use different types of pre-cut colour glass shapes, colour inclusions and copper wire to design and create a original glass panel ready for fusing. No experience required. All ages welcome, bookings essential. Suitable for ages five years and above, individuals, family or groups. Children must be accompanied by adults. To create a glass fused panel for a taster course takes approximately 30 minutes. SALT can offer a group of four students a sessions for 30 mins.